Get your eyeballs around this!! The cult is on parade!! What are the reasons this organization is still not outlawed? Yes!, and technically, $cientology already is illegal. The evidence is overwhelming. French authorities have already determined twice that Scientology is guilty of FRAUD. Practicing hypnosis without a license by fraudulent claims of religiosity, is, itself an elaborate fraud. When I collectively call the rulers of da Co$ " bastards " it is done as the greeting of not as a greeting of ' best friends - or any friends - just calling them as I honestly see them. I do like " Count - with a silent O " as most descriptive of the like of da little man, dm. Billionaire Oprah Winfrey airing 3 hours of shows this evening nationwide in the US on her network called OWN. 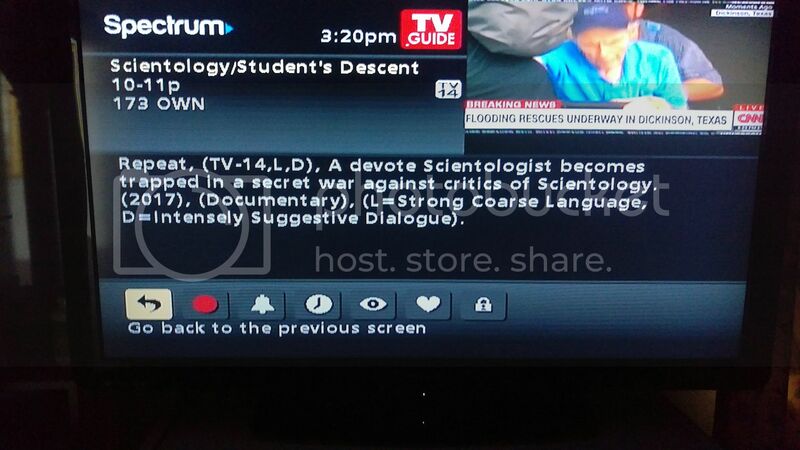 (Oprah Winfrey Network) exposing the Cult of Scientology this evening. Although the shows aired before, for the many these are *New* for them, loaded with new information. 3 hour marathon. LOL will they call her friends John Travolta and Tom Cruise to call Oprah to block airing ? 1 full hour of Marty Rathbun contradicting things he has said in latest videos tonight on Oprah Channel OWN this evening. Here he exposes the inhumanity and the horror within. 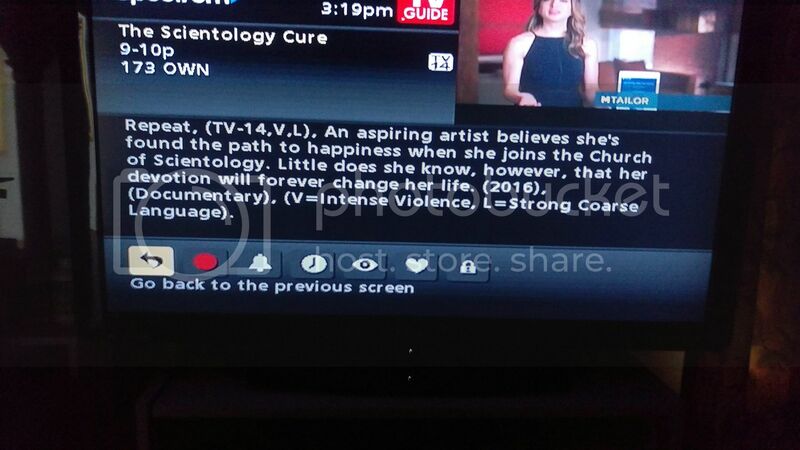 I have my DVR set to automatically record any shows that have a "Scientology" (key word) connection. 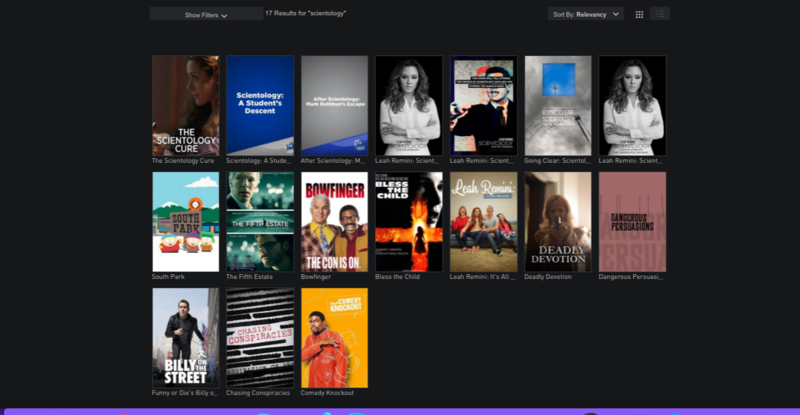 It continues to amaze me how many shows pop up on the cult. I just took a quick peek at what is upcoming. . . I checked with my local org and they said (without asking me anything about who is on those 17 shows) that everyone involved in the shows has despicable crimes and lied about everything! And they all did it for blood money! Even billionaire Oprah needed some extra cash! I just saw that 1 hour (again) just to be sure I wasn't losing my mind that Rathbun was a rabid attack dog vs. Scientology. 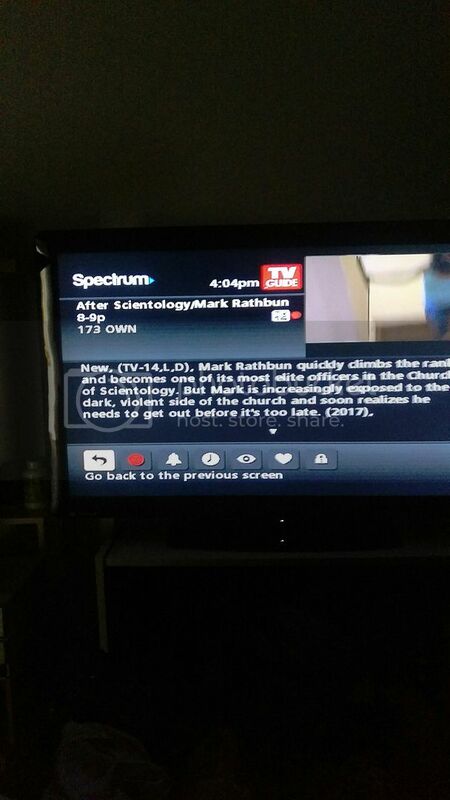 Add to that 1 hour on national TV exposing his own story, consider the hundreds of other hours of interviews, essays, documentaries, videos, blogs and whistleblowing appearances Rathbun created and/or participated in--that savagely attacked Hubbard, Miscavige, the COS and Scientology tech itself. His attacks vs the cult literally litter the internet! ANSWER: That Marty Rathbun himself is the de-facto founder and/or leader of the ASC, Anti-Scientology cult! Seriously. He is the only one that organized a Scn-critical website with himself as the "leader" who could not be disagreed with (ever), lest the "hater" (SP) be publicly humiliated, censored or banned! There is no other anti-scn "cult". He was it. It's kind of like the viciously abusive Church of Scientology creating CCHR (Citizen's Commission on Human Rights) to rid the planet of human rights abuses. It's kind of like the fanatically destructive charlatan Hubbard orchestrating fanatical attacks on mental health care professionals ("psychs") because (he claimed) they are implanting and destroying people's mental health. It's kind of like the sociopathically violent Miscavige attacking, terrorizing and beating Sea Org slaves--after which he smirkingly hosts garish propaganda rallies--at which he wildly stirs up cult members to "obliterate" those SPs who inflict conflict, violence, war, insanity & criminality, on this planet. "RATHBUN IS THE FOUNDER OF THE ASC!" This is the reason that Rathbun cannot ever give a live interview. This is the (same) reason Miscavige has not been willing to give a live interview in over 25 years. Because their maniacal misdirection and lying hypocrisy is so preposterously apparent, they can't afford to be asked any questions that they have no conceivable way of answering. Brushing my tinfoil aside (doubt formula at the church of hoaxology, lol) that speculative but provocative thought has crossed my mind more than once. If Scientology and Scientologists were slightly more sane, their nonsensical "tactics" and "strategies" could be more accurately detected. But, like a crazy street person ranting and threatening pedestrians and cops alike, it's not always simple to know WTF they are doing or going to do. Their bizarre unpredictability is both an asset and a fatal flaw. Their lies are so outrageously and obviously crazy (ref: "BIG LIE" at Wiki) that it sometimes crashes the society's collective lie detector Apps. Who could have believed, for example, that Scientologists had perpetrated an en mass infiltration/espionage operation into US governmental agencies?! What cult would have the requisite insanity and self-destructive bravado to even think of such an outrageous and suicidal plot, let alone try to execute it in secrecy? Virtually ALL of Scientology's brilliant "ops" fail famously and backfire with ferocity. A 15 second internet search instantly reveals the inordinate number of bitter enemies that Scientologists have turned into vitriolic whistleblowers and indefatigable voices of outrage that continue to crescendo. What else is ESMB, if not a convenient and fun place to lob truth grenades at the human rights monstrosity known as Scientology? I am struck, again, by your observation (earlier post) that Rathbun went "on record" (on the Oprah-produced hour chronicling his life in Scientology) in shocking dead-agent contradiction to everything he is making hate videos about the last months. He proves beyond any doubt that he is a despicable liar. But he doesn't seem to mind losing all his friends/supporters and engendering the hatred of countless people across the world. For what prize did he so cheerfully sacrifice all that is sacred to any normal person? The only answer that seems possible is--money. (Good luck to his previous attorneys who will try to discover evidence of that, on behalf of their firm and every other person who follows the evil cult's crusade of terror. But, this is Scientology we are talking about. So, there could (theoretically) be something else instead of or alongside of financial rewards. Duty. That is a chronic theme in Scientology, wherein only the cult's top guru makes billions while everyone else slaves a billion years in the distant hope of earning not even 2 cents--but instead a 2-line "admiration particle" in their ethics folder, known as a "commendation report". Rarely does a Scientologist "rise above" sanity and conscience to the diabolical degree that Hubbard/Miscavige ascended to. However, Rathbun is making valiant efforts to catch up! Does this mean that during her show JT won't bring Opra Cristal & serve her whole audience ? Does this also mean little TC won't come jump on a couch for Opra ? Was there some upset Opra had with them ? Oh, Marty. I can't say anything about him I haven't already said : he is a house stooge. Added : To me, Marty has always been a snake. He crawls this way & that way with regard only for himself. He only plays for Marty.